The club may change this policy from time to time by updating this page. You should check this page from time to time to ensure that you are happy with any changes. This policy is effective from 21/05/2018. · Name, address and date of birth/age of all club members. · Race Results and Championship Tables. · Photographs etc for the promotion of events. · Details of Name, Hometown, Machine and transponders for programme printing. You may request details of personal information which we hold about you under the Data Protection Act 1998. A small fee will be payable. 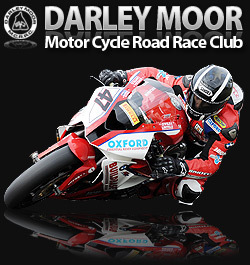 If you would like a copy of the information held on you, please write to Data Protection Officer, Darley Moor Motor Cycle Road Racing Club Ltd, Anvil House, Derby Road, Old Tupton, Chesterfield, Derbyshire S42 6LA.